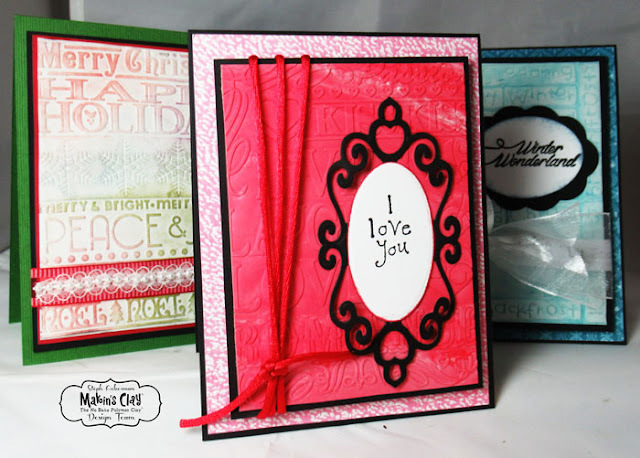 Hi everyone, I've got some fun cards on the Makin's Clay blog. 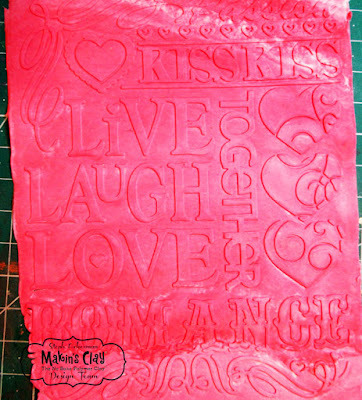 Did you know that you can emboss damp clay? 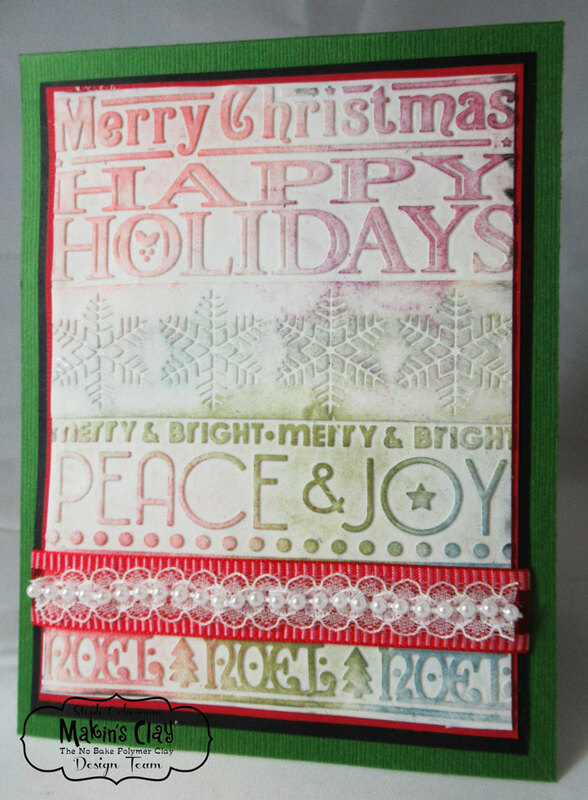 Clay can be easily embossed with an embossing folder while still damp and no special preparation of the embossing folder is necessary. Embossed clay is perfect for creating backgrounds for cards as the clay adds very little weight to cards. For my Valentine's Day card, I started by mixing red and white clay. I conditioning them creating pink clay. Once conditioned, I rolled the clay through the clay machine starting at the highest setting. I repeated the process, moving the dial down a level and rolling the clay through the clay machine until I had the thickness of clay I wanted. 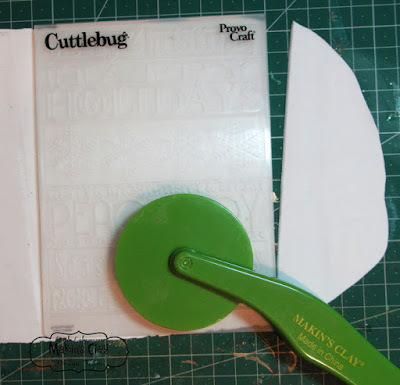 I placed the clay in an embossing folder and used the cutter to cut away the excess clay. And this is the embossed panel. All the details are clearly visible in the damp clay. I allowed the clay to dry 24 hours before continuing. Using Beacon Adhesives, I adhered the embossed clay panel to black cardstock. Then I wrapped red twine down the left side. 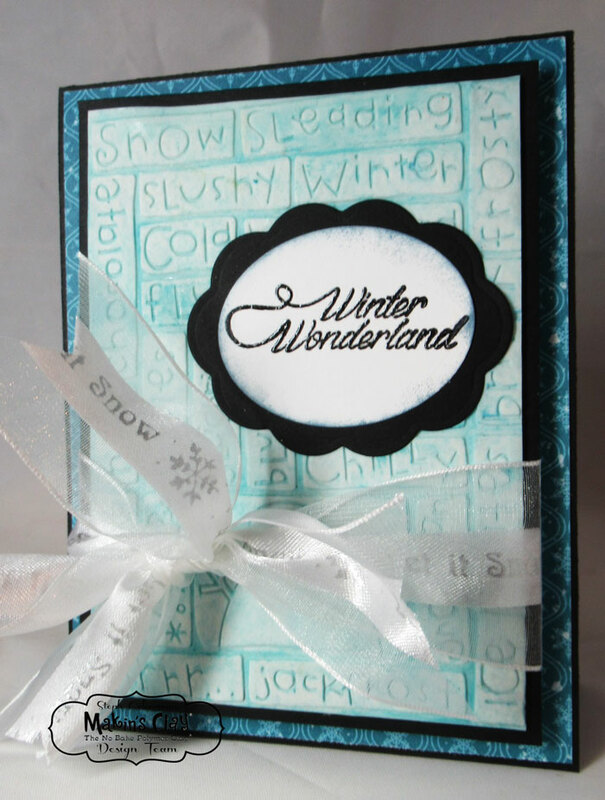 The panel was added to the card with foam adhesives to create dimension. 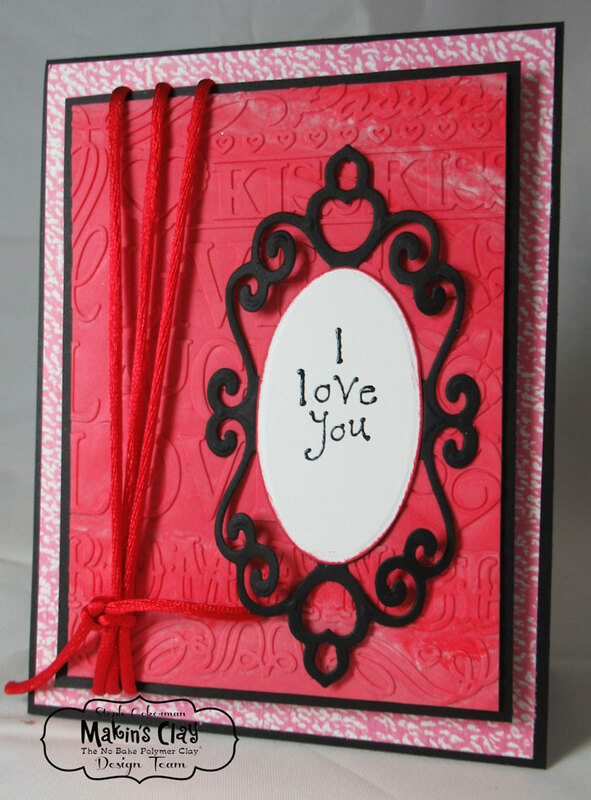 The sentiment was stamped on a white oval and placed atop a black die cut. For my next two cards, I conditioned white clay, then rolled it through the clay machine starting at setting 1, and moving the dial as noted above. I also ended on the 7th setting. I spritzed the panel with Fireworks Summer Sky spray ink, then placed it in a winter embossing folder. With this method, the spray ink becomes embedded in the crevices as the panel is embossed. I allowed the clay to dry 24 hours before continuing. The panel was matted with black cardstock and wrapped with ribbon. 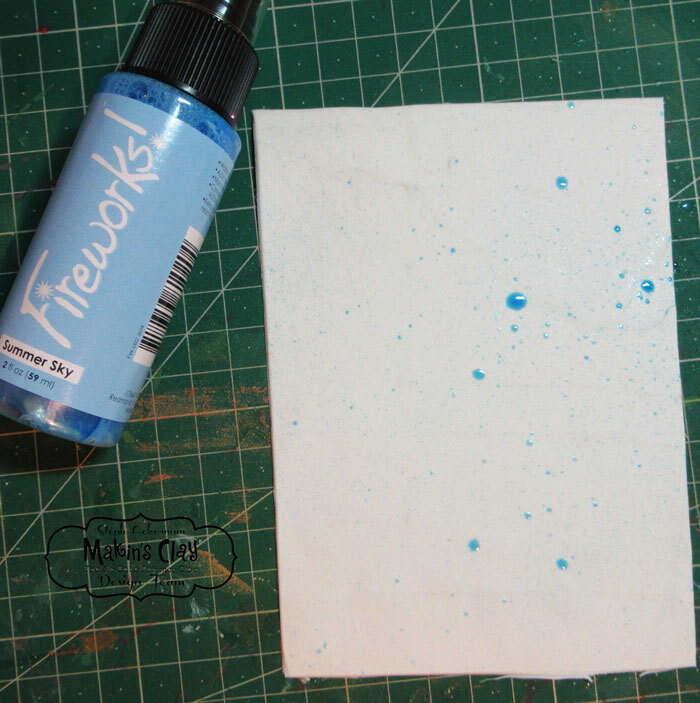 Using foam adhesives, the panel was added to the card. Winter Wonderland was stamped, die cut then added to the card. 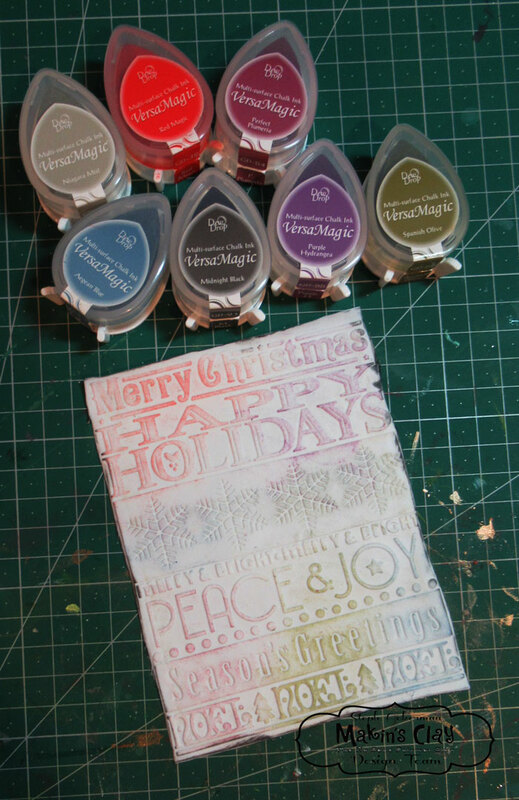 Finally for my Christmas card, I repeated the above process using the left over white clay from the winter card. I placed the clay in a Christmas embossing folder and used the clay cutter to cut away the excess clay. After embossing the clay, the details are amazing. 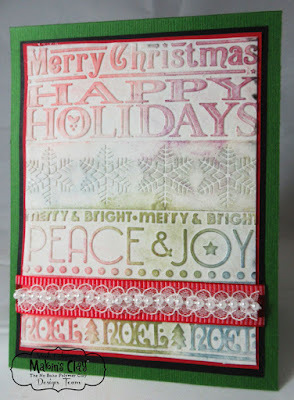 Next, I used assorted VersaMagic Chalk Inks to ink over the embossed clay. I allowed the clay to dry 24 hours before continuing. I matted the clay panel with red and black cardstock using Beacon Adhesives. 2 different ribbons were added around the panels which were then adhered to the card. 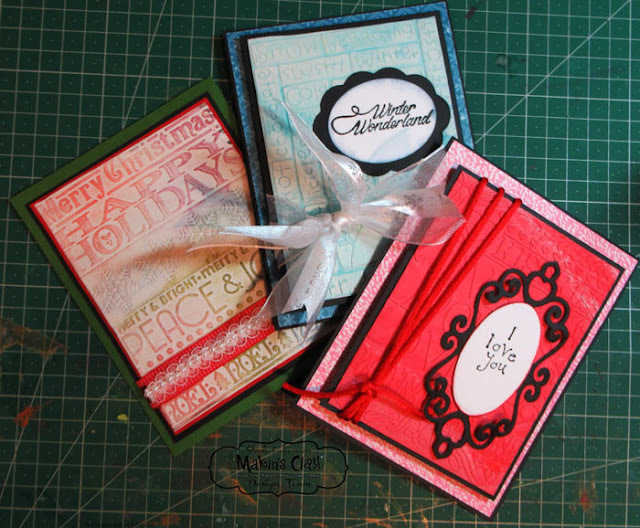 Remember that clay adds no weight to your creations, so these cards can be easily mailed with negligible or no additional cost. 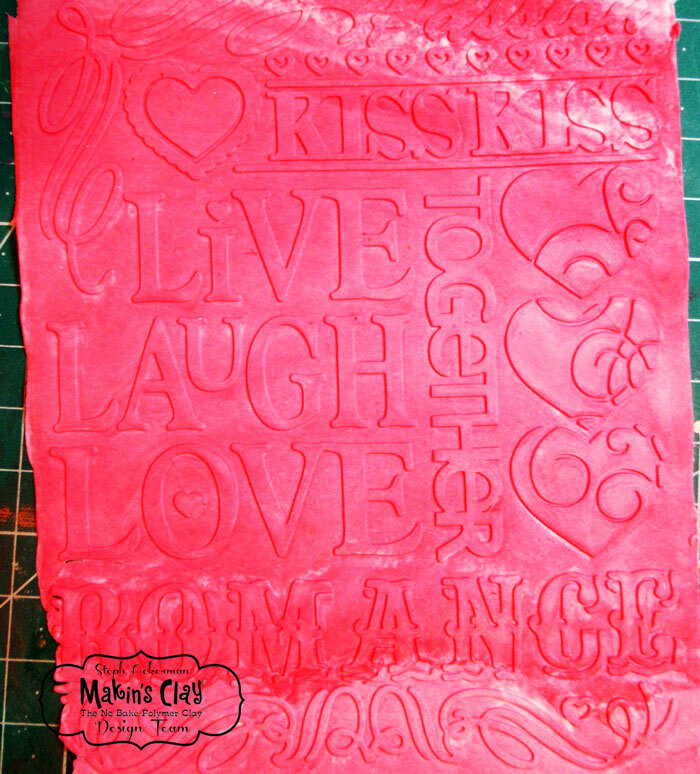 For more complete details, stop by the Makin's Clay blog.